A successful outing at the CWG means silver medalist boxer Amit Panghal will aim to outdo himself at the 2018 Asian games that would be held in Jakarta later this year. 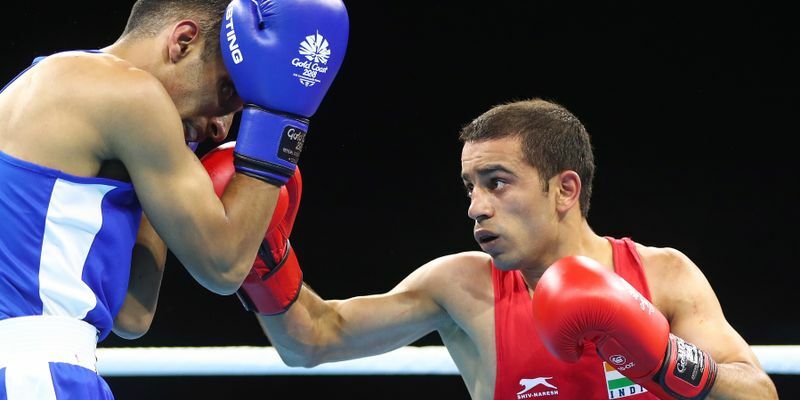 Panghal went up against England's Galal Yafai in the men's light flyweight (49kg) final only to miss out on gold in Australia. Still aged 22, Indian flyweight boxer Amit Panghal was a success in his first major outing in the boxing ring back at the 2017 Asian Amateur Boxing Championships, which were held in Tashkent, where he claimed a bronze medal. To back that up, Panghal completed a successful outing at the 2018 Gold Coast CWG where he won a silver medal in the 49 kg category and added to India’s impressive medal tally. A strong outing in Australia would give a huge confidence boost to put up an impressive display in the Asian Games that are coming up in Jakarta towards the latter half of the year. Panghal has set his sights on it as he would be aiming to outdo himself and go all the way at the Asian Championships. "I had a good CWG. I worked hard and I got a medal. Of course I had hoped for a gold but got silver and I am not satisfied by that, I will have to work on my speed. My next target is Asian Games. "But Asian games will be very tough and it would be a big test for me. I will prepare for that accordingly. We'll have to watch the videos of our opponents and work on our weaknesses and prepare under our coaches. Also, there would be invitational tours. We are going to US under TOP scheme for a 20-day training which will help us," Amit told PTI. Amit had previously won the gold medal on his debut appearance at the national championships in 2017. The Haryana born boxer also added that it was a huge achievement for the Indian boxing contingent to bring home nine medals from Australia. "If you look at the overall performance, it is the first time we have won so many medals at CWG. First time, all boxers reached the semifinals and it is a very big achievement. If we can continue the training with our coaches, and put in the hard work, I am sure we will win medals at Asian Games and Olympics," he said. The young lad also revealed that if it wasn’t for an injury in his left arm during the final bout, he would have surely secured gold in Gold Coast. "There was not much difference. If wasn't injured, I could have given a tough fight and won a gold. He was a tough boxer. But if I could have played my game, maybe there was a chance. Now the injury is fine. There is swelling but hopefully I will be better in a week. I would be leaving for US for training on May 1, I will be fine by then and so it would a good preparation for the upcoming events," Amit added.